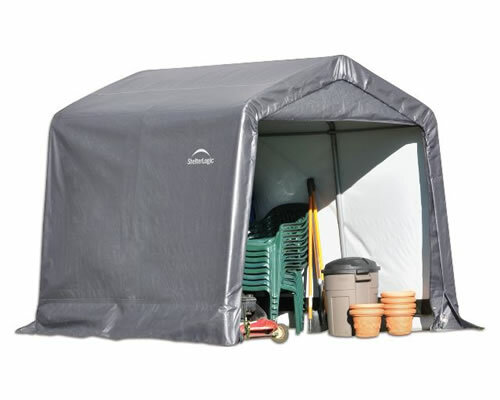 Our ShelterLogic 6x6x6 Shed-in-a-Box is excellent for instant storage of garden tools, mowers, motorcycles and more! 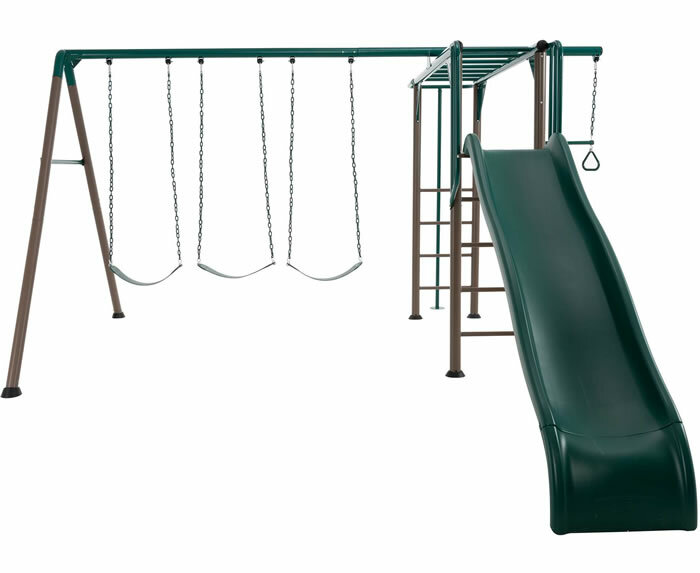 Anchors included! 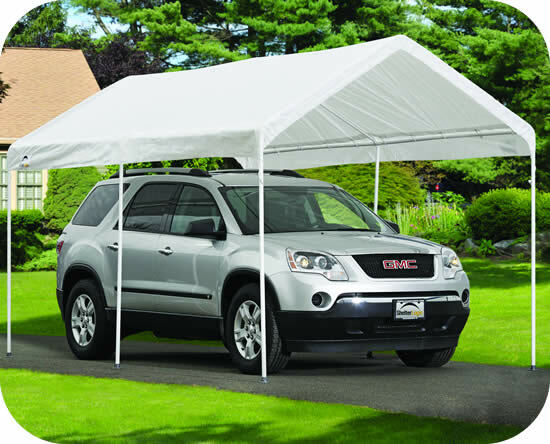 This item is great for camping, patios, special events, shade and protection. 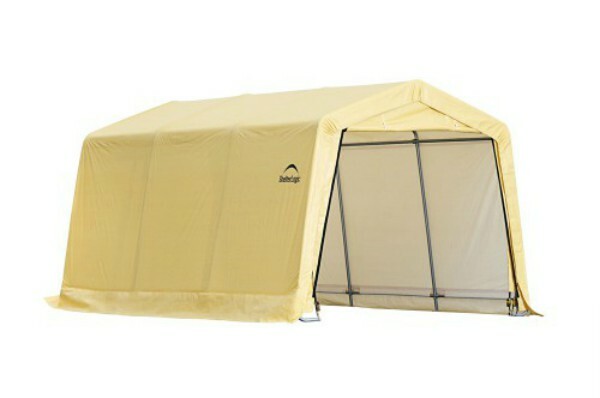 Includes 9x16 frame, white canopy and temporary spikes. 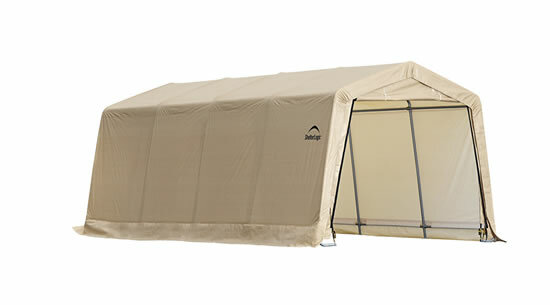 Our ShelterLogic 8x8x8 Shed-in-a-Box is excellent for instant storage of garden tools, mowers, motorcycles and more! Anchors included! 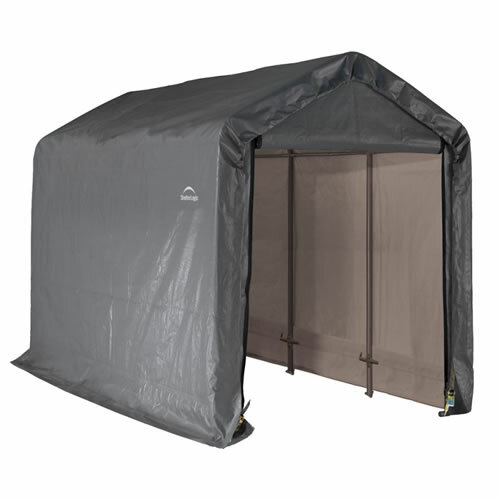 Our ShelterLogic Shed-in-a-Box is excellent for drive through access for mowers, motorcycles and atv's. 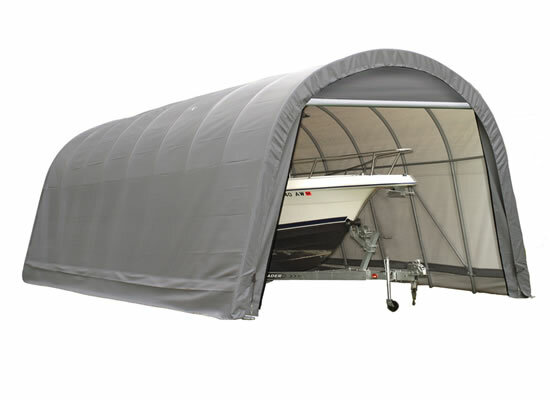 Two doors and anchors included! A perfect compact storage solution for motorcycles, ATVs, jet skis, trailers, lawn and garden equipment, tractors, snow mobiles or wood! 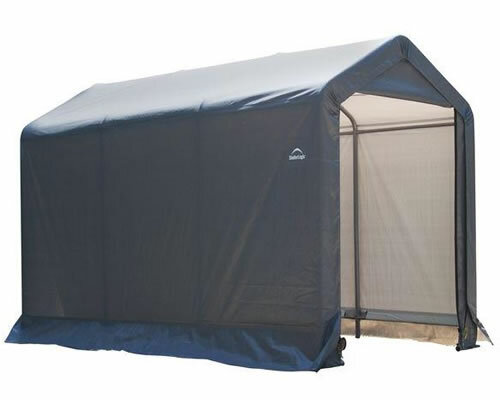 Our ShelterLogic 10x10x8 Shed-in-a-Box is excellent for instant storage of garden tools, mowers, motorcycles and more! Anchors included! 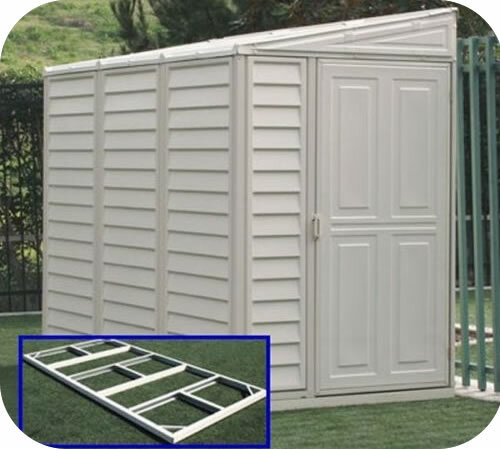 Our ShelterLogic 12x12x8 Shed-in-a-Box is excellent for instant storage of garden tools, mowers, motorcycles and more! Anchors included! 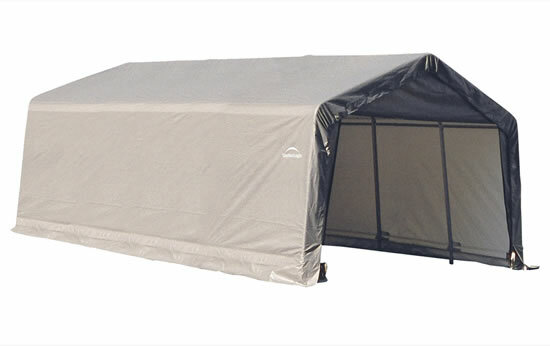 The ShelterLogic 10 ft. x 20 ft. x 8 ft. Steel and Fabric Auto Shelter is designed to hold automobiles, ATVs, trailers, tractors and more. 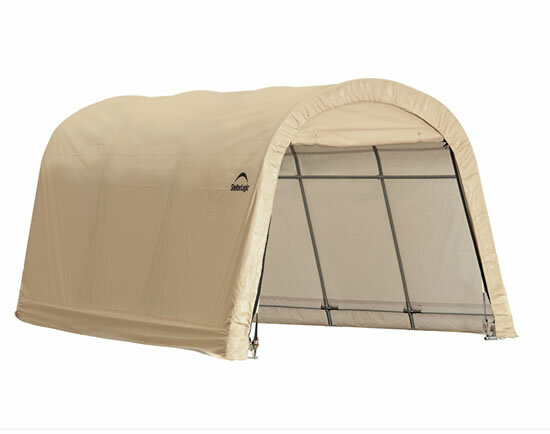 Get optimal strength and all season storage with our 10x15 Auto Shelter model 62689. Ready to build, out of the box the day you receive it! 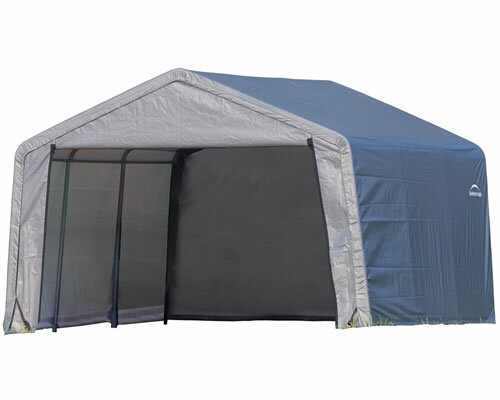 The ultimate 12x20x8 Peak Frame Instant Garage / Storage Shelter is affordable and portable. Perfect for autos, trucks, ATV's and more! 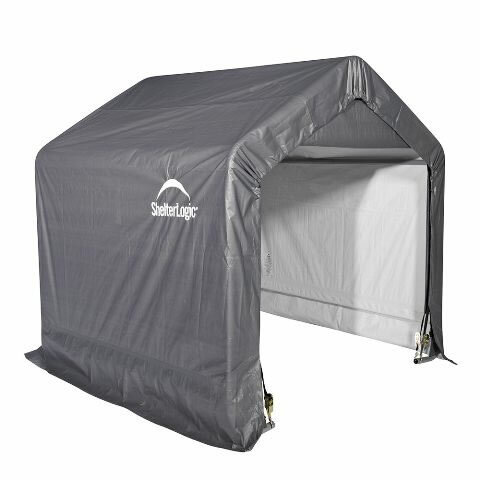 The Shelter Logic 12x24x10 Round Garage Kit in grey, model 74332, offers easy slip fit assembly with 1-5/8 in. frame and a triple layer cover.